1 What is the IP address? If you have a computer and you know, how to use it, then you may ask - and how safe is my online presence? This is not about viruses or locks. We are talking about the IP address. This is the address of your computer to the World Wide Web. Such addresses are like fingerprints - each with its own, unique. To protect yourself, you can access the Internet using different computers, or even easier is to hide your IP address and, Consequently, himself. What for? elementary! On the Internet, every day is more than half the world's. In the network there are good people and bad, but no one will know about it without their will, because the Internet for us - Anonymous. agree, Have you been in this position, when you do not want to disclose his identity. The reason is not so important. the main thing, that such situations at different times faced many. therefore, will find helpful, how to hide your IP address. Let's, you people, which leads some illegal activity. You go online, correspond with these people, is the danger of the transaction. Why not, if you live in the age of technology? And here come to you in the form of people and arrested. Why, because they have nothing! And then they show your online activities, I found using IP address. Or you - the friendly people, who helped people in the form of arrest bad man. Is there confidence, that he or his friends do not you calculate the same way, using IP address? IP not only provides the address of your computer, but also its physical location, and there to close the personal data. by the way, in the social network Vkontakte teens each other are often threatened, "I figured out, You live by your IP address, I come to you and ... ". lots of examples. In order not to fall into such a situation you need to know, how to hide your IP-address. Several ways to hide your IP-address? A very simple way – online services. They are called "anonymizer". How does he work. You visit one of these sites, see a large number of links and choose the, that "looked at you". That's all! Now you visit the Internet under the IP-address anonymizer. Or is there anonymizer "Chameleon". Come on him, in the address bar of the site and again "go" for him under a false IP. You can also use a proxy server. A proxy server is an intermediary between your computer and the World Wide Web. good way to, but it has its shelf life. About two or three hours. The proxy server can also be found on the Internet. If these methods are not for you, you can make out a few more. for example, programs, which allow you to hide your IP address. Their big set. Just eyes run. But they have not acquired a special popularity among consumers. All these programs are "raw" and do not deserve the necessary confidence. But do not be like that just to throw back this way. There are some really literacy programs, which will provide the IP address anonymity. for example, such a program is Tor. The program is easy to use, It does not produce errors or problems. In addition to our large user advantage is the Russification program. You can also use the program «JAP». It is just as easy, does not hang, It operates according to the required specification. But it has one difference - paid and free modes. In fact, between modes is not important differences, except that, increase in Internet speed at a certain investment of money. Another and, perhaps, the last of the great programs, it SocksChain. 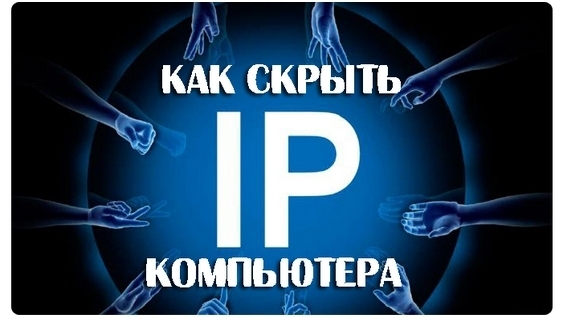 This thing is able not only to protect IP address, but give you different countries Proxy. Not bad, agree? "Mom, I'm here with America's writing...". It seems to be pretty, and tempting, but not everything is rosy. The program is paid and our. I.e, It is made by our programmers, she can forward them or appropriate government services the reasons for your use of this service. Big risk. If you sum up, we can say, There are no completely reliable way to, how to hide your IP address. Who said, all ways, above, not controlled by the government and intelligence services?